Ok. This is what happens when nearly sixty and attempting to switch gears. You’re no longer in charge at work, have a great idea about what to do next – one in which you’re fully invested, and for which would spare no effort – but gotta wait for pieces to fall into place. What else are you gonna do? 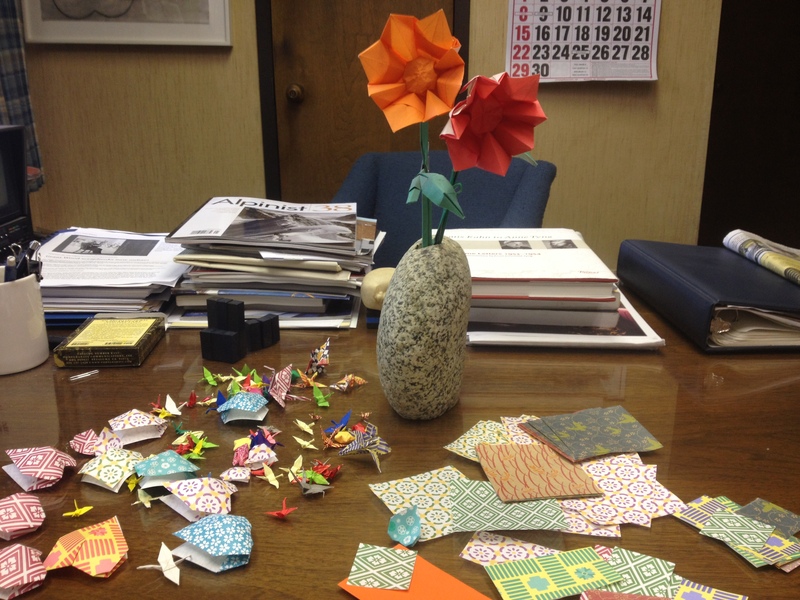 Nobody wants your opinion and you can’t just sit there… Origami requires concentration, dexterity, three dimensional thinking, and is endlessly rewarding. No two of even the simplest forms end up exactly alike. Challenge and difficulty accrete with desire. The word origami is Japanese and does mean fold paper. Japanis a resource poor country with trees being one of few in abundance. Wood thus came to be the focus of Japanese creativity as raw material for many things made very differently in other parts of the world. Paper came to be regarded as sacred and an important element of the national religion – Shinto. Secular folded objects evolved therefrom. 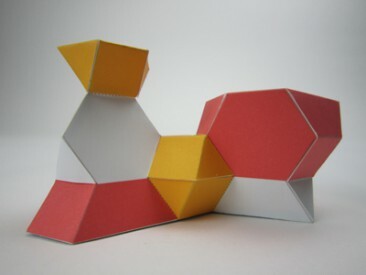 The first known set of origami objects available for sale appeared in 1728. The first book of techniques was written in 1797. I prefer projects not requisite of tools beyond one’s digits, but might make an exception for one I just found. 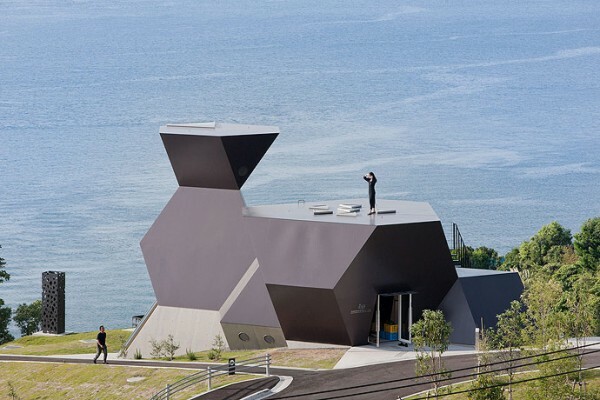 It’s a replica* of Japanese architect Toyo Ito’s Architecture Museum on the island of Omishima which opened last fall. The building is “built to resemble a ship’s deck carrying a cargo of dreams of architecture for the future”. Some find a formal resemblance of it to Louis Kahn and Anne Tyng’s City Tower project. Their influence can certainly be seen in other Ito buildings. No surprise then that several years ago Ito visited UPENN to meet with Dept Chair Detlef Mertins who later initiated a retrospective of Ms Tyngs oeuvre entitled Inhabiting Geometry and to whom the catalogue is dedicated. Have the catalogue and wish I’d seen the show. This entry was posted on April 13, 2012 at 7:00 pm and is filed under architecture. You can follow any responses to this entry through the RSS 2.0 feed. You can leave a response, or trackback from your own site.